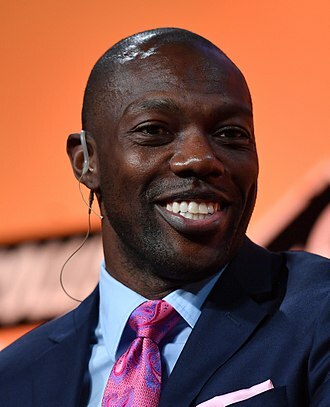 Adalius Donquail Thomas (/əˈdeɪləs/; born July 18, 1977) is a former American football player who was a linebacker in the National Football League (NFL) for ten seasons. He played college football for the University of Southern Mississippi. He was drafted by the Baltimore Ravens in the sixth round of the 2000 NFL Draft, and also played for the NFL's New England Patriots. Thomas attended Central Coosa High School in Rockford, Alabama and was a letterman in football and basketball. In football, as a senior, he was named as a Class 4A all-state selection by the Birmingham News and as an honorable mention Class 4A all-state selection by the Montgomery Advertiser. In basketball, as a senior, he led his team to the State Title and was named the Alabama Class 4A Player of the Year. 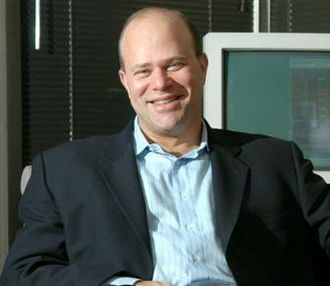 Thomas attended from the University of Southern Mississippi, where he was a star defensive end for coach Jeff Bower's Southern Miss Golden Eagles football team. 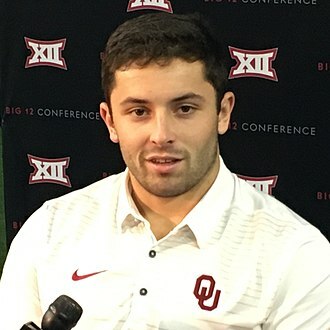 Thomas led one of the top defenses in college football, notching Conference USA Defensive Player of the Year honors his junior and senior years. The Golden Eagles won three Conference USA championships (1996, 1997, and 1999) in his four years in Hattiesburg, losing only two conference games and winning two Liberty Bowls. Thomas was named a Freshman All-American by the Sporting News in 1996, leading the Golden Eagles to an 8-3 record and a share of the Conference USA title. Southern Miss finished 9-3 in Thomas' sophomore season, en route to a Conference USA Championship and a victory in the Liberty Bowl. Thomas was named to the All-Conference first team. Statistically speaking, Thomas' best season came in 1998, when he tallied 71 tackles, in addition to a conference-high 12.5 sacks and 20 tackles-for-loss. Thomas was named a first team All-American and tied for Defensive Player of the Year. 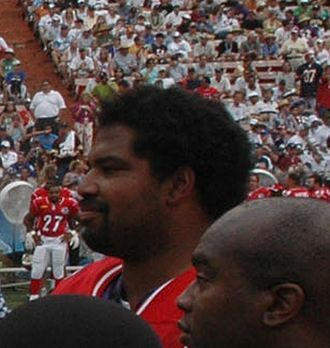 Thomas earned third-team All-American and Defensive Player of the Year honors as a senior, in addition to being named the MVP of the 1999 Liberty Bowl. He was also named as a finalist for the Conerly Trophy. Thomas was also a power forward on the Golden Eagles' basketball team in the 1995–96 and 1996–97 seasons, making him the first player in USM history to play both football and basketball. 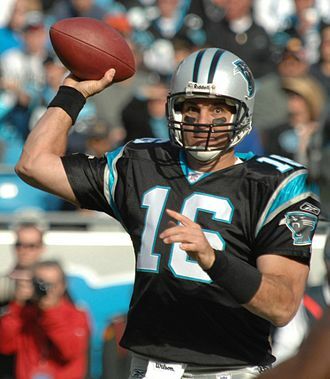 Thomas was drafted by the Baltimore Ravens in the sixth round (186th overall) in the 2000 NFL Draft. Competing with Peter Boulware and Michael McCrary for playing time, Thomas made only 89 tackles in his first three years. He was inactive for 12 games in his rookie season, but played in all 16 games in the 2001 season, starting two at defensive end. In 2002, he started 12 games at defensive end, recording two interceptions as well as 15 special teams tackles. In 2003, Thomas was recognized for his special teams play and was selected to his first Pro Bowl. That year, he registered 34 tackles, 8 passes defended, 4 sacks, and a forced fumble. He was placed on injured reserve by the Ravens on December 17, but still led the team with 23 special teams tackles. In 2004, Thomas started all 16 games for the first time in his career. While still collecting 16 special teams tackles, he amassed 72 tackles, 4 forced fumbles, 5 passes defended, an interception and 8 sacks. In 2005, with Boulware relegated to situational pass-rush duty, Thomas was named the starting outside linebacker, where he accumulated 84 total tackles and 9 sacks. 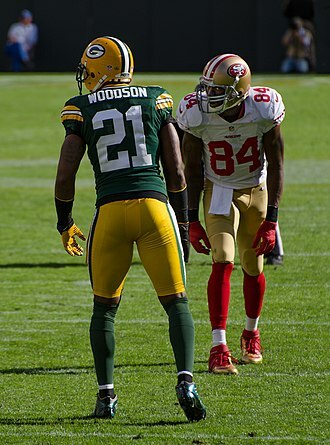 He also saw limited time at cornerback during that season. He had two interceptions on the year and three forced fumbles; he returned three turnovers for touchdowns, making him the NFL's leader in non-offensive touchdowns that season. Thomas earned his second Pro Bowl bid in 2006 as part of a Ravens defense that finished first in the league en route to a 13–3 record. He was a first-team All-Pro after setting a career-high with 106 tackles and 11 sacks, as well as notching 1 INT, 1 safety, 7 passes defensed, and 1 fumble recovery returned 57 yards for a touchdown. It proved to be, without a doubt, his finest season as a pro. On March 3, 2007, Thomas signed a 5-year contract with the New England Patriots worth $35 million, including $20 million in guaranteed money. 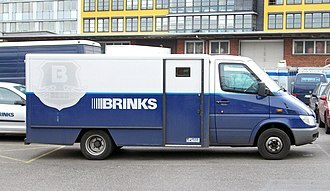 After the move, Patriots head coach Bill Belichick told Thomas that he had "backed up the Brink's truck" to pay him. Thomas played mainly at inside linebacker in the Patriots' 3-4 defense in 2007, rotating with veterans Tedy Bruschi and Junior Seau. 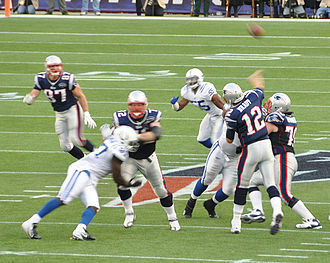 As the Patriots progressed though an undefeated 2007 regular season, Thomas handed out "humble pie" T-shirts to his teammates in the locker room, echoing's Belichick's message of staying humble after each win. 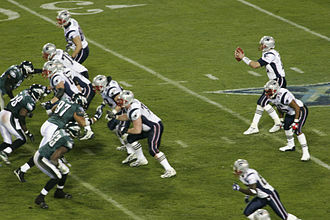 After a season-ending injury to outside linebacker Rosevelt Colvin in late November, Thomas started the remainder of the season and eventually Super Bowl XLII at outside linebacker. In that game, Thomas had a postseason-high two sacks and a forced fumble. 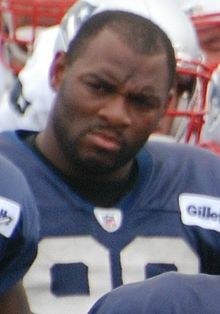 Thomas continued to start at outside linebacker for the Patriots in 2008. He led the team with five sacks until suffering a season-ending arm injury in Week 10 against the Buffalo Bills. He was placed on injured reserve on December 5. In 2009, Thomas began the season on the active list; however, he was deactivated for the October 18 game against the Tennessee Titans. Recording one sack on the season to that point, Thomas was asked by the press if he used the decision by Belichick as motivation to perform better. He responded "I don't need something like this to fire me up. This isn't kindergarten. I don't play [those] games." Thomas was one of four Patriots sent home as a result of being late for a morning meeting on a snowy Wednesday morning prior to the Patriots' Week 14 matchup against the Carolina Panthers. The next day, Thomas told the press that he called the team saying that he was stuck in traffic but was still sent home upon arriving. He also continued to question the perceived motivational aspect of the decision, saying "Motivation is for kindergartners. I'm not a kindergartner." He was again deactivated for the game against the Panthers, but started the Patriots' Week 15 game against the Buffalo Bills. Thomas finished the 2009 season with 11 starts in 14 games played, recording 34 tackles and three sacks. 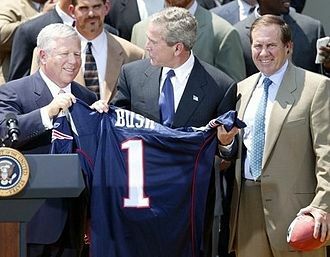 Thomas was released by the Patriots on April 26, 2010, one day after the 2010 NFL Draft. ^ a b c Reiss, Mike (2009-12-10). 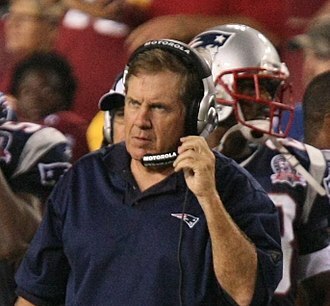 "Will Belichick's message be heeded?". 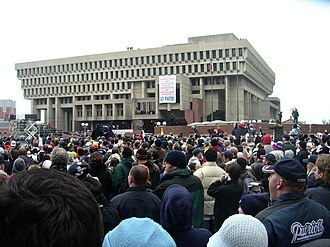 ESPNBoston.com. Retrieved 2009-12-22. ^ Reiss, Mike (2009-10-21). "Patriots LB Adalius Thomas discusses his recent deactivation". ESPN.com. Archived from the original on 24 October 2009. Retrieved 2009-10-21. ^ Reiss, Mike (2009-10-21). "Thomas addresses recent deactivation". ESPNBoston.com. Retrieved 2009-12-22. ^ Reiss, Mike (2009-12-13). "Thomas was disciplined earlier in week". ESPNBoston.com. Retrieved 2009-12-22. 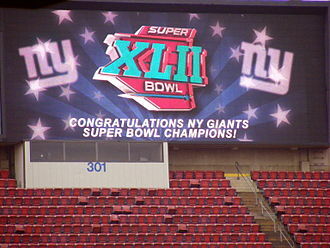 The 2007 Pro Bowl was the National Football Leagues all-star game for the 2006 season. 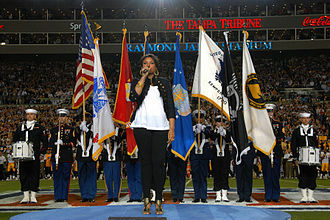 The game took place on February 10,2007, at Aloha Stadium in Honolulu, the game was held on a Saturday instead of the usual Sunday after the Super Bowl because of a request by broadcaster CBS. 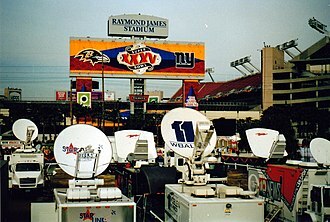 The 2007 Pro Bowl marked the 28th consecutive time that the National Football Leagues all-star game is held in Honolulu, the NFC was coached by Sean Payton of the New Orleans Saints. 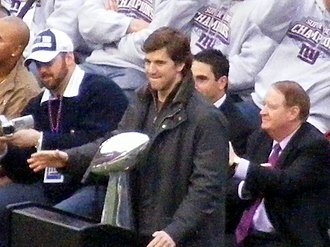 The AFC was coached by Bill Belichick of the New England Patriots, AFC quarterback Carson Palmer was selected as the Most Valuable Player of the game. This Pro Bowl is mainly remembered for Sean Taylors big hit on Buffalo Bills punter Brian Moorman, 2nd Quarter NFC – Tiki Barber 1-yard run,12,24. Drive,9 plays,67 yards,10,40, AFC – Reggie Wayne 72-yard pass from Carson Palmer,11,19. Drive,4 plays,74 yards,1,05, AFC – Adalius Thomas 70-yard fumble return,7,42. NFC – Frank Gore 1-yard run,4,09, drive,7 plays,53 yards,3,33. 3rd Quarter AFC – LaDainian Tomlinson 3-yard run,9,36, drive,9 plays,57 yards,5,19. 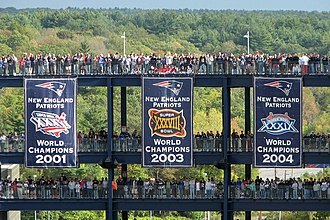 The 2008 New England Patriots season was the 37th season for the team in the National Football League and 49th season overall. This came just one year after finishing with the only 16–0 regular-season record in NFL history, in the season opener, quarterback Tom Brady, the NFLs MVP in 2007, suffered a torn anterior cruciate ligament against the Chiefs and missed the remainder of the season. Backup quarterback Matt Cassel replaced Brady, Cassels led the team to a win in Week 2 against the New York Jets, his first start since high school. A loss the following week against the Miami Dolphins ended the Pats record 21 game regular-season winning streak and this record was broken by the Indianapolis Colts in 2009. Despite entering the last week of the season with a winning streak. 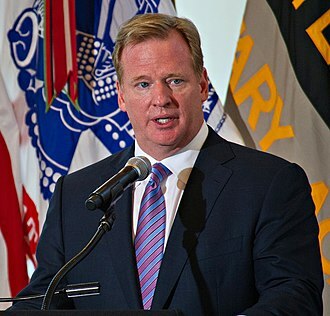 In addition to a Week 17 win, they needed either a Dolphins loss to win the AFC East, both Baltimore and Miami won, and the Dolphins and Patriots each finished the season with an 11–5 record. Miami qualified for the playoffs by winning the AFC East division over the Patriots on the divisional tiebreaker. Baltimore qualified for the playoffs as a wild card team, defeating the Patriots on the wild card tiebreaker. This is, as of 2016, the season since 2002 that New England had failed to qualify for the playoffs. Two days after Super Bowl XLII, defensive back Willie Andrews was arrested in Lowell, Massachusetts on February 5 for possession of a pound of marijuana. Andrews fiancée called police, who searched Andrews vehicle but did not find a gun, she took her child to a hotel for the night. The weapon, a Glock pistol, was recovered in a dumpster near Andrews apartment. Andrews was released on July 1, on February 22, running back Kevin Faulk was issued a misdemeanor summons after he was found with four marijuana cigarettes at a Lil Wayne concert in Lafayette, Louisiana. Upon returning to New England, Faulk passed a drug test, Faulk was suspended for the first game of the 2008 regular season for a violation of the NFLs substance abuse policy. Kaczur was charged with possession of a controlled substance in the seventh degree. 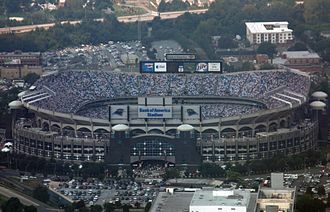 The Liberty Bowl is an annual U. S. American college football game played in late December or early January since 1959. Since 1965, the game has held at Liberty Bowl Memorial Stadium in Memphis. 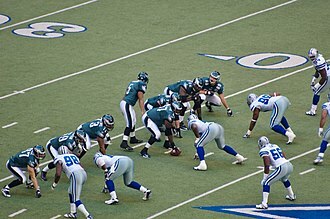 For its first five years, it was played in Philadelphia, since 2004, the game has been sponsored by Memphis-based auto parts retailer AutoZone. Because of the scheduling of the game near the end of the calendar year, no game was played during calendar years 2008 or 2015. A. F. Bud Dudley, a former Villanova athletic-director, the game was played at Philadelphias Municipal Stadium. It was the only bowl game of its time, and was plagued by poor attendance. The inaugural game was the most successful of the five held in Philadelphia, a group of Atlantic City businessmen convinced Dudley to move his game from Philadelphia to Atlantic Citys Convention Hall for 1964 and guaranteed Dudley $25,000. It would be the first major bowl game played indoors, astroTurf was still in its developmental stages and was unavailable for the game. Convention Hall was equipped with a 4-inch-thick grass surface with two inches of burlap underneath it on top of concrete, to keep the grass growing, artificial lighting was installed and kept on 24 hours a day. 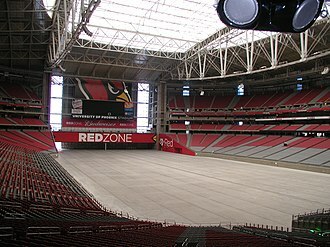 The entire process cost about $16,000, end-zones were only 8 yards long. 6,059 fans saw Utah rout West Virginia, Dudley was paid $25,000 from Atlantic City businessmen, $60,000 from the gate, and $95,000 from television revenues, for $10,000 net profit. Dudley moved the game to Memphis in 1965, where it has made its home at what became Liberty Bowl Memorial Stadium to much larger crowds and has established itself as one of the oldest non-BCS bowls. During the late 1980s and early 1990s, the Liberty Bowl offered an invitation to the winner of the Commander-in-Chiefs Trophy. Beginning in 1996, the Liberty Bowl began an affiliation with the newly-launched Conference USA, beginning in 2005, the winner of C-USA was determined by the newly-created C-USA championship game. The winner of game was customarily offered the bowl berth from 2005-2013.